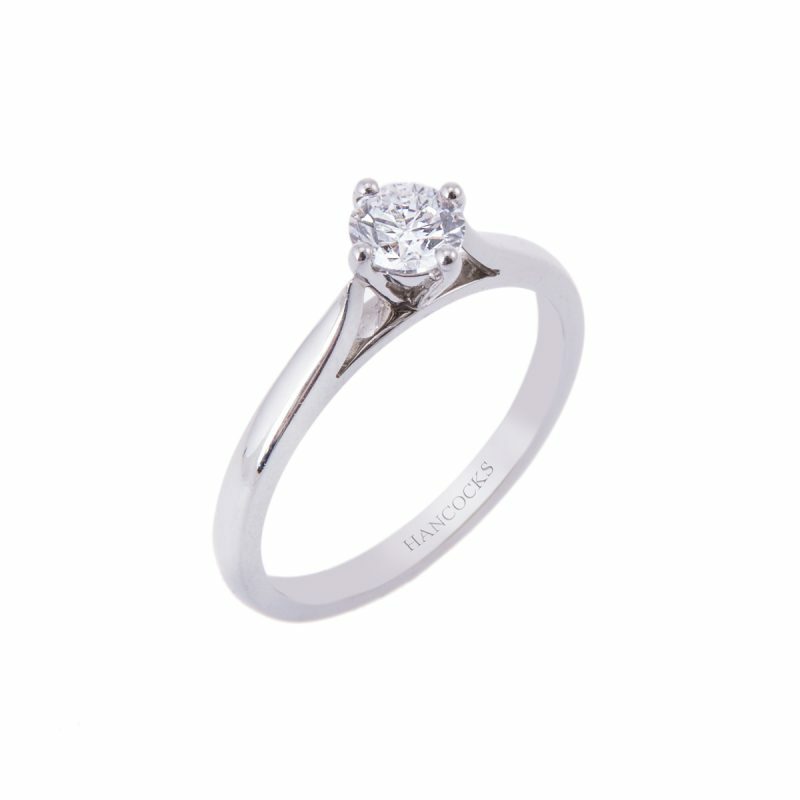 With more fire and brilliance, the brilliant cut diamond is the perfect choice for a classic, timeless engagement ring. 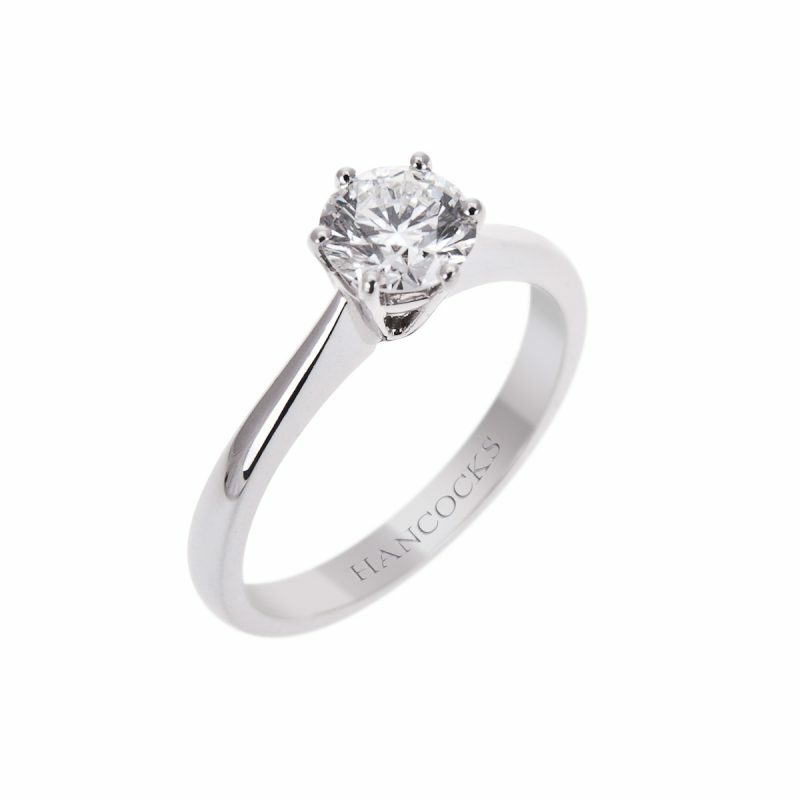 Mounted in a platinum 4-claw compass setting that sits snugly next to any of our wedding bands, the clean lines and elegant styling create a truly stunning ring that anyone would feel confident in presenting. 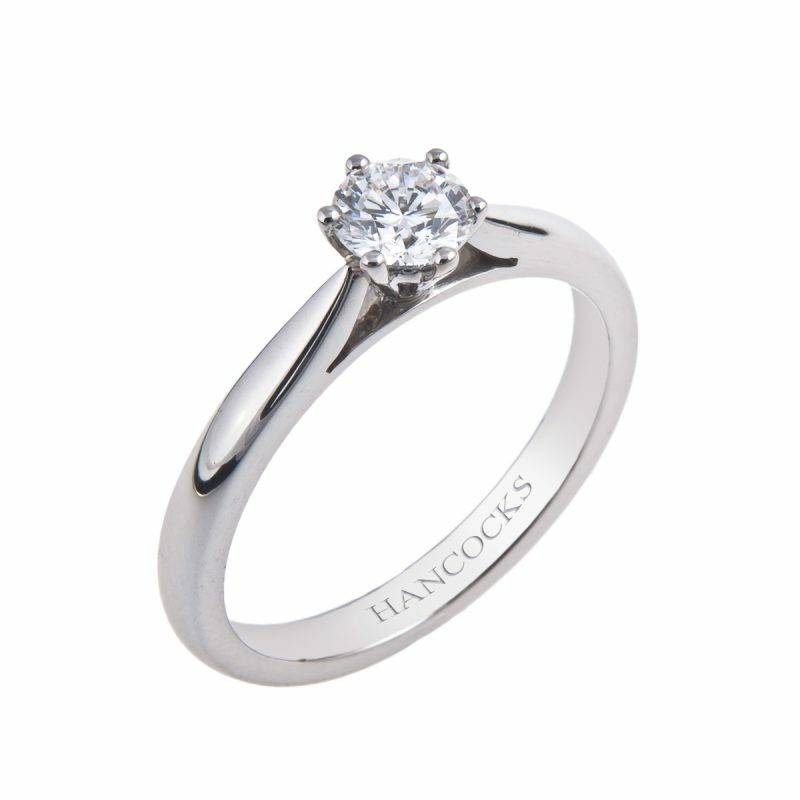 One of the most defining characteristics of a diamond is its cut, which determines the overall symmetry of the stones facets and its ability to reflect light. 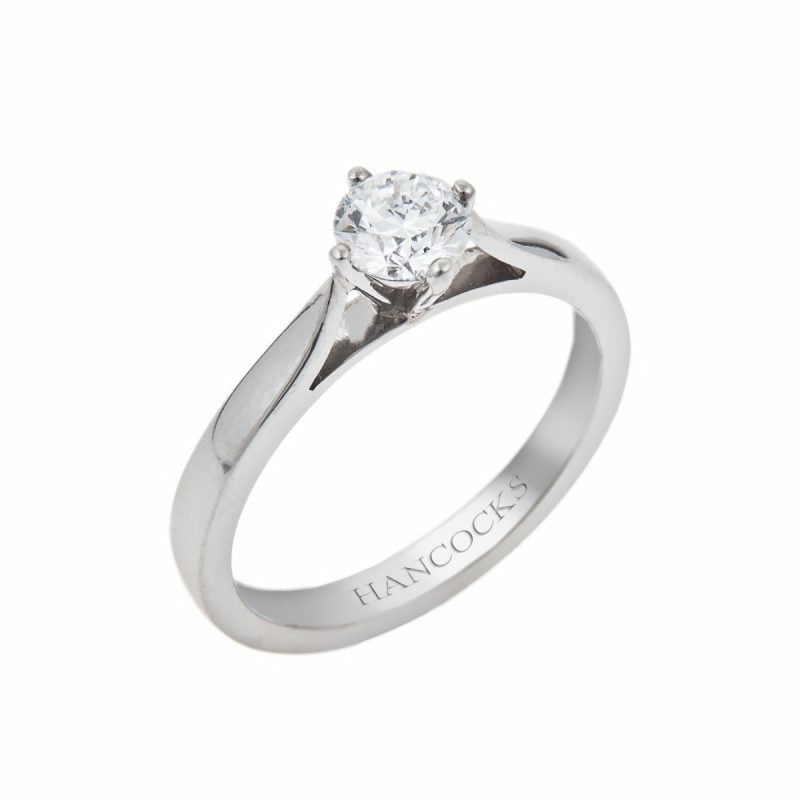 An expertly cut diamond will achieve a fantastic level of brilliance and sparkle.With its high colour and clarity, you can be confident in the quality of this amazing ring.